Were you happy with the tackle you used last season? Are your lines still performing well or are they getting worn/cracked? You should look in turn at each of the methods you fish, and ask yourself if you have the best stuff to do it. How do you feel about your fishing clothing – a much under-rated area for anglers. It is also the right time of year to be cleaning fly lines, bags, clothing and checking rod rings and wading boots (studs?). This is the time of year to be putting wanted items of tackle or tackle vouchers on your Christmas List!!! Like it is for flies, you only need tackle for the methods you fish. By that I mean if you only ever fish with one rod and are perfectly happy, then you won’t need two rods (so that you can fish with a dry and a nymph rod without time consuming re-rigs). If you only like fishing wets, then you won’t need a rod that’s suitable for dry fly or nymph. However, a little rod clip on your vest allows you to carry a made up spare rod and switching from nymph to dry fly and back again can be done quickly, time and again as you walk up a changing area of river. Look at the methods you fish and ask yourself if you feel that the tackle you have helps you achieve that. Also look at the methods you may want to fish that you currently don’t – dry fly, nymph, Duo or Trio, streamer and ask yourself if you could fish that method with the tackle you have. Dry fly rod – not too heavy 3wt, 4wt or 5wt is perfect for a river the size of the Almond. Dry fly rods are typically a little crisper in the action, not too floppy. This aids with accurate fly presentation, putting it exactly where you want it. It also helps with straightening the leader – very important when fishing a dry. False casting is also needed to dry the fly after lift-off and a crisp rod can generate a higher line speed. To be very effective at dry fly, the fly must be presented with the minimum of fuss/ maximum stealth. You’ll find this easier with a dull fly line (olive/grey/straw) not a fluorescent one and also a fly line that is on the light side. Even a ninja will struggle to drop a Sz 18 CDC shuttlecock dry fly on a 6wt or 7wt line. Nymph rod – you can fish nymph with any rod that’s on the light side (4wt, 5wt) but because specialist nymph lines/French leaders are very thin and light, an ultra-lightweight nymph rod makes a massive difference to both handling very light leaders/lines and also bite detection. I started off with a 10foot 4wt Streamflex and now can’t see past the 10’ 2wt. Nymph fishing is 30% watercraft, 10% technique and 60% bite detection!! Nymph rods are typically 10’ minimum and go up to 11’3” – this extra length helps when leading a team of flies down a specific current channel and helps to keep the line off currents that you don’t want to adversely affect the travel of the nymphs. I would seriously advise that you buy a nymph line or French Leader for this amazing method. Fly lines – Are they light/delicate enough and dull enough for use on rivers that have spooky fish? Are the lines in good condition or do they need cleaned or replaced? I encourage anglers to buy economy fly reels but I always advise them to buy the best floating line their budget allows. A quality line by Cortland, Scientific Anglers, Orvis or Rio will serve you well for many years and using it will always be enjoyable and fun. Clothing – the most under-rated area for many anglers. Keeping warm is usually really easy if you can stay dry. Wearing cycling/running longs under waders means you are warm and can fish all day up to your chest in water. Jeans and normal trousers don’t wick the moisture away quickly enough. I also wear knee high pop socks over normal socks (but don’t tell everyone); with them on, waders slip easily onto your feet and come off just as easy – you keep warm or cool depending on the season and there is no friction meaning no blisters no matter how much walking/wading you do. Same for the top half – I always wear an under armour type top to wick away the moisture and on top of that I wear a long sleeved camo top. If it’s freezing, the wading jacket completes the set, if it’s roasting, the camo top is enough. Always long-sleeved to avoid nettle stings and the need for messy sun tan lotion. For a hat, you just can’t beat a wide-brimmed cowboy hat style as it protects all around your neck – the more glare you can keep off your eyes, the easier you can read the water depth and see the fish you are trying to catch. I’m continually amazed by the `trendy’ anglers among us that have the most up-to-date cap, usually in fluorescent orange or red! My most useful and ever present item of fishing clothing is the Buff – you can wear it as a hat, a scarf, a balaclava or a sweat band – I’d never go anywhere without it. Gimmicks – I’ve known a lot of `tackle tarts’ in my time as a coach and a comp angler. As a comp angler myself, I like to have the edge in everything, and although I could probably be forgiven for having too much stuff, I also need to make sure I am travelling as light as possible. Only carry stuff that is really needed and make sure it is quickly accessible. I have carabiner clips all over my vest and my floatant, drying powder, sinkant are all fitted with wee loops so I can clip them on when I’m using them a lot, for example during a rise/hatch. Other than that, they are out of the way, safely in a pocket. I only keep the nylons to suit the conditions so I’ll have a dry fly tippet in medium (Orvis SS 0.135mm) and light (Dohiku Max Spider 0.12mm) and Shogun nymph nylon in 0.148 as standard (or 0.166 if heavy water/big flies are the order of the day). Useful items are artery forceps (as fish do swallow the fly deep occasionally), rod clip (for spare rod), specs retainers (to avoid ever losing them), wee fly drying cloth. For leisure trips I clip on a digital camera and have a waterproof holder for my phone and a short lead for clipping the dog to my side (but they are all left at home for comps). Wading Staff – I never go anywhere without it now. Some people say it gets in the way but so does an unexpected soaking or worse, drowning!!!! I find it as useful on the banking for getting down steep slopes as I do in the river itself for checking depth before I take a step, to steadying me in fast currents and crossing channels. Stows out of the way when fishing on a magnetic clip on the front of my vest. I can even walk with it dangling there, without dragging on the ground. Tungsten Studs – Easy to screw into sturdy wading boot soles and invaluable on the slippery river bed. 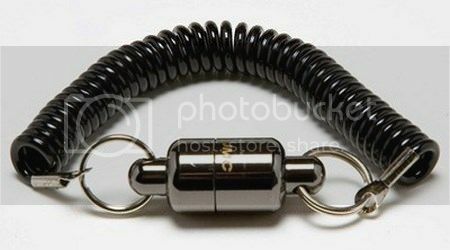 Magnetic clip – I have one of these on the back of my vest for holding my landing net and another on the front of the vest for securing the wading staff. One of the best fly fishing inventions since the barbless hook. Drinking Water – If you have a whole day’s fishing planned, especially in the warmer months, how do you store your water? In a bag - I never carry a bag! Water bottle stuck down your waders – makes it nice and warm when it comes to drinking it!! 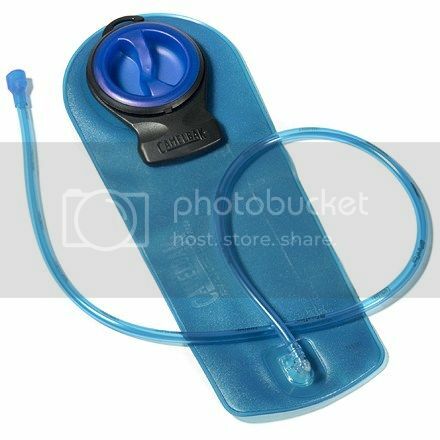 Better to do what the cyclists and hikers do – buy a Camelbak and stick it in the back pocket of your vest, with the nozzle clipped near your mouth for a quick sip anytime you need it – invaluable. Bankside Pruning – The River Almond is no chalkstream, I’m sure you would agree. No well-paid ghillie or water keeper to manicure our lawns and pools. Therefore it needs to be done by you, the WLAA member!! I have a detachable pocket on my vest that has a small folding saw and a pair of secateurs for bankside pruning. I only use it for the odd bramble that annoys me or the odd branch that is preventing me landing a fly in the sweet spot in a pool. Particularly useful at the start of the season to clear stuff moved down by the Winter floods. Massive improvements can be made to your fly fishing effectiveness by ensuring your tackle and end rigs are well balanced. Rods/reels – if your fly reel is way too heavy or big, it can affect how you fish, especially in long sessions. 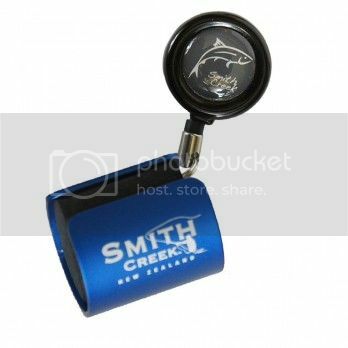 If you are fishing with fairly light nylon, it is a must that your reel is sensitive enough to allow a fish to run without breaking the leader – therefore a reel suited to larger Stillwater fly lines may not be react quickly and be suitable for fishing dries on a river. The same goes with the rod – if you attempt to fish a fly line on a rod that is not matched to that fly line, your casting and fly presentation will always be a struggle. For dry fly fishing on a river, some anglers use a line rated one size heavier than the rod so that they are getting instant rod loading at very short distances – and short distance is very desirable when dry fly fishing on a river. 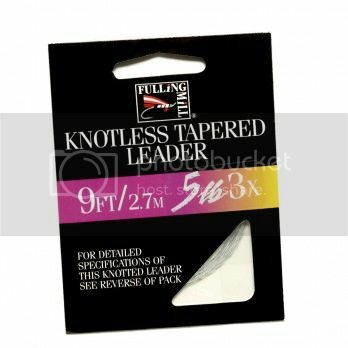 End rigs/ tapered leaders – I see a lot of beginners that tie their cast nylon directly to their fly line. It can be done and it can work but the transfer of energy from a very thick fly line to a relatively thin piece of nylon spells disaster for presentation. If you use a whole knotless tapered leader (9ft) or even just a part of it between the end of the fly line and the cast nylon, energy transfer becomes smooth and fantastic fly presentation becomes effortless. Basically, for £2.45, you can transform your fly fishing world! Nylon type and diameter – The balance of what nylon you have on the end is also not an accident, it needs careful thought. 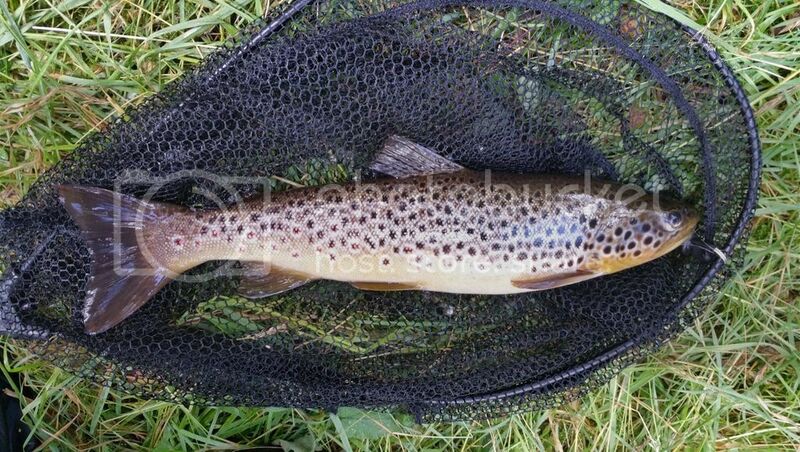 I don’t use the same nylon for wet fly fishing on a low-water, River Almond in summer that I would use for big, fit River Tummel brownies in heavy streams – ask David Meek how he learned that lesson – twice in 10 minutes!!! Go on please, please, I dare you!!!! The same goes for nymph fishing. In a snag-infested early season, heavy nymph session, with a touch of colour in the water, it is unnecessary to use light nylon - the stuff you would need to fool spooky trout on light nymphs in low and clear water. For nymphs, a nylon that is soft and supple fishes the flies in a much more natural way. Because you are not really casting in the traditional way, you can get away with this. However, for wet fly fishing where you are in many cases fishing 2 or 3 flies at once (on droppers and longer leaders) and casting backwards and forwards a lot, then a stiffer nylon makes you more effective (tangle free). That’s why I use coarse fishing nylon for nymphs and Orvis Super Strong for wets. I always intend to be more active in the tackle maintenance department but it is the same every year – I always leave my maintenance tasks until the closed season. Rods – rod rings are generally the only rod items needing your attention, especially the tip ring. Check the inner surface of each ring – it should be smooth with no grooves. Any sharp grooves or edges will make short work on the soft surface of your expensive fly lines. Better to replace a worn ring than a fly line or two. Reels – take off all the spools and wash the main cage of the reel in mild soapy water. Once it is bone dry, add a touch of bike oil to any internal checks/mechanisms (avoid the drag!!) and add a touch of grease to the centre spindle. The same goes for the spools – wash to remove any sand/grit then when bone dry, the handle and maybe the spool release clip need just a touch of oil. Fly Lines – You will be amazed by the amount of rubbish that sticks to your fly lines, especially for River Almond anglers. By cleaning them, you are helping them to cast better, shoot better, float better and last longer. Never use an abrasive cloth like a pot scourer, just use a soft kitchen cloth. Never use strong detergents like washing up liquid, use hand soap. Pull the entire line through a wet soapy cloth a few times until it stops marking the cloth. Then pull it gently through a soft dry cloth and wind back onto the reel – not too tightly as you don’t want it to set in a coiled fashion. Flies – they do get chewed, they do rust up and they occasionally get straightened! This is a good time to go through your entire collection and remove the ones that are no longer of much use to you – and list for replacement as necessary. Clothing – Breathable jackets, even breathable waders, really perk up with a quick trip to the washing machine (use the Cold/delicate cycle) and finished off in the tumble dryer (on cool). The Almond is one of the slippiest rivers I have ever fished bar none. Now that I use tungsten studs on my boots, I don’t notice it quite so much. However, they do wear out, especially if you walk a bit to get there. 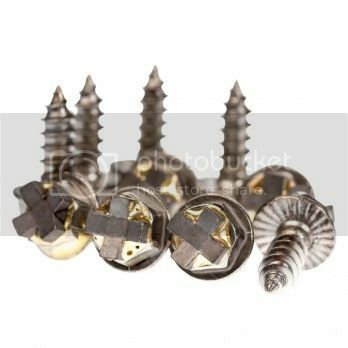 They can be easily unscrewed with the tool they come supplied with – then replaced just as easily in the same place. Well I hope there are one or two points in this blog that will help you decide on the tackle you need to and the tasks you can be doing during the close season so that you can hit the ground running in 2017. The next blog will discuss flies – all in time for you to spend what's left of the close season buying or tying what you really need to have fun on the River Almond.